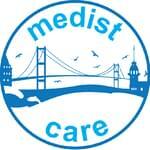 "Medistcare International Health Tourism Service’’ cooperate with distinguished transplantation centers. You will get hyperhidrosis procedure in elite discrits of Istanbul and never surprise with price. We are accompanied with experiences thoracic surgeons who can handle this procedure's complications. We give you a mini holiday with Bosphorus view and at the end of the day you rest against the view of Marmara Sea . We will have pride of sending you home happy. Be healthy and stay happy. Hyperhidrosis is excessive sweating, which occurs in all environments including air conditioned rooms, and causes severe psychological, social, and occupational dysfunction. Both sexes are effected. Heat and emotional stimuli effects the patients more than the others. Huge number of endoscopic thoracoscopic sympathectomies have been performed all over the world. However, concerns regarding the adverse effects have remained. Compensatory hyperhidrosis or compensatory sweating is the most common complication. ETS process is supposed to work by blocking the transmission of nerve signals from the spinal column to the sweat glands and to thus prevent these nerve signals from “turning on” the sweat glands.The patient is intubated with a single lumen tube, positioned supine, arms are outstretched and reverse Trandelenburg with rotation away from the operative side. A sympatheticotomy not the sympathetectomy or ganglionectomy is performed either by dividing with cautery or clipping. This post has been written by Medistcare International Health Tourism Services and viewed 6078 times.